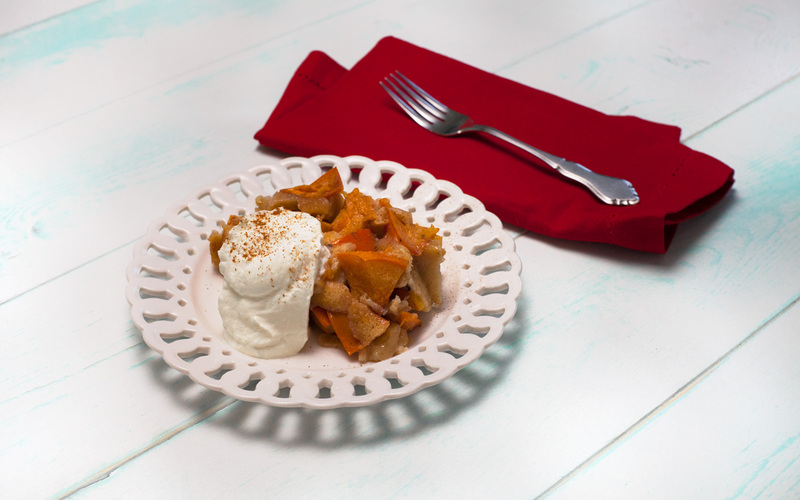 Persimmon skillet cake is a recipe that even the non-bakers can master. Hosan from Four Seasons Farm can help pick out some perfect persimmons for the job. Don’t forget to pop by The Stock Market to grab the crème fraiche to finish off the dish. In a medium bowl, mix sugar and melted butter, add eggs and vanilla, and stir until smooth. Stir in flour and cinnamon just until combined. Spread fruit in a 9-inch cast iron skillet and sprinkle with about 2 tablespoons (30 ml) sugar. Pour cake batter over the fruit. Sprinkle with a little more sugar. Bake for 40 to 45 minutes, until the cake is golden and the fruit is bubbling around the edges. Serve warm with a dollop of crème fraîche.